Great British Bake Off week 2 was biscuit week. Ergh. Seems I’m not alone in dreading biscuit week. I love eating biscuits but I’m rubbish at baking them. 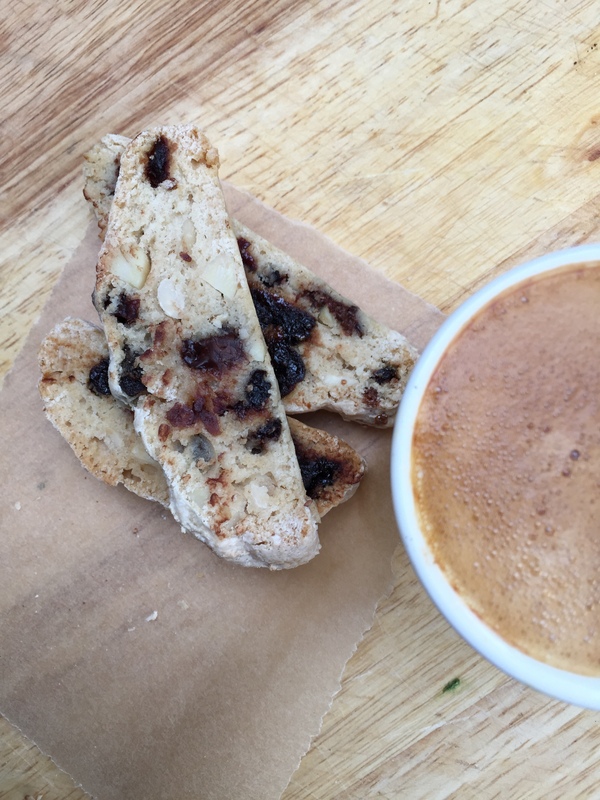 I thought I’d give biscotti a go this week as I’ve made them once before and they were awful – rock hard wedges that needed soaking in hot tea to render them edible. Seems my 2nd attempt fared a little better. I used Paul Hollywood’s biscotti recipe as a guide and added cherry, almond and chocolate and they are delish, if I do say so myself. 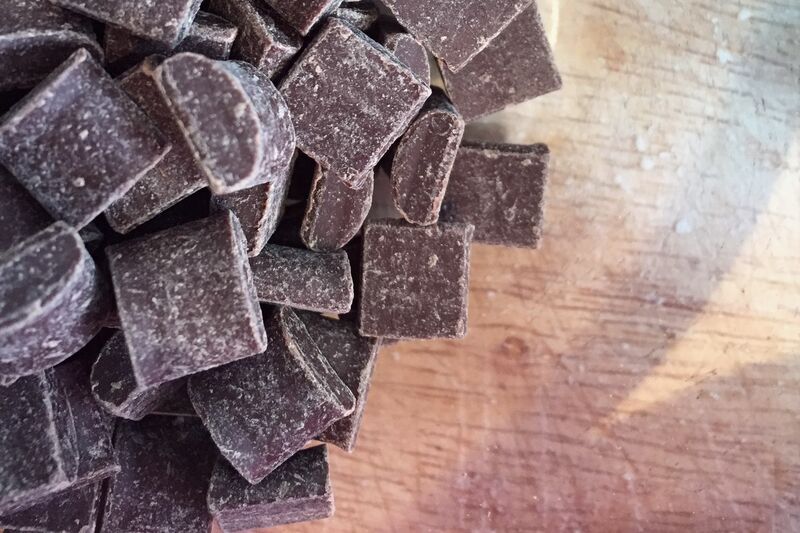 They’re very pale but crunchy and the cherry pieces are yummy tart pops alongside the creamy chocolate pieces. Preheat oven to 160C (fan-forced) / 140C. Mix the dry ingredients (flour, sugar, baking powder) together and add the beaten egg a little at a time until it just comes together into a firm ball of dough. Add the choc chips, almonds and cherry and knead through by hand. Tip onto a floured surface and knead lightly for a minute or so. 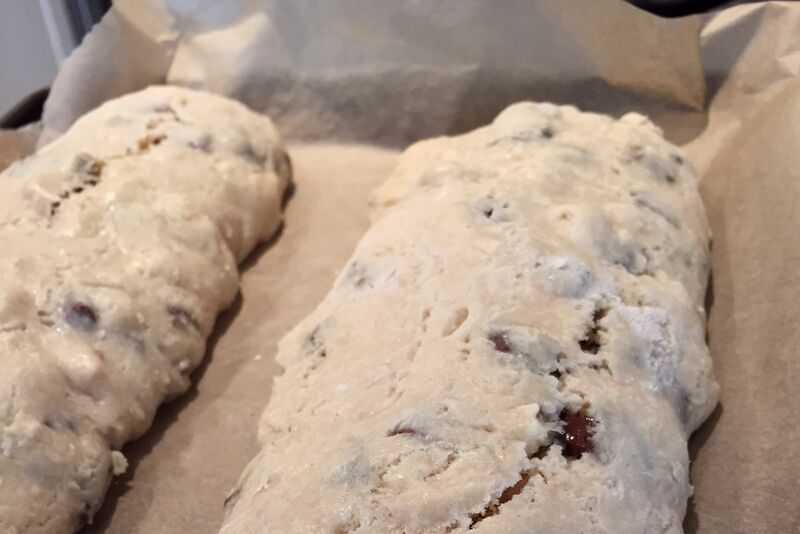 Split the dough into two then form each half into a long log roughly 30cm long. 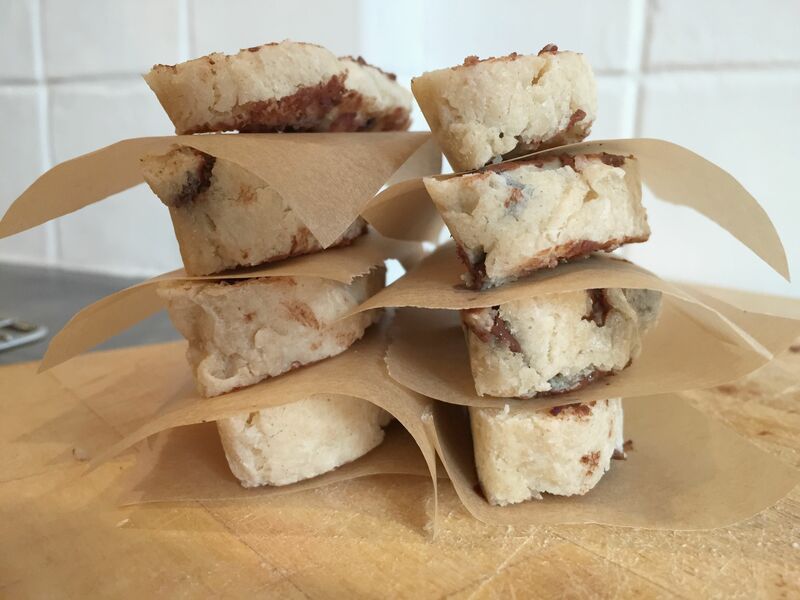 Place on a baking tray lined with baking parchment, with about 5cm between the logs as they do spread a little when cooking. Cook for minutes and take out to cool for 10 minutes. Cut using a serrated knife into about 1cm slices. Place back in the oven and bake for a further 20 minutes or until completely dry throughout, turning once halfway through cooking. I froze the dough of the 2nd log. After the first bake I sliced it and popped some baking paper between slices before putting in a freezer bag. I’ll try baking them straight from the freezer and let you know how they cope with the freeze. 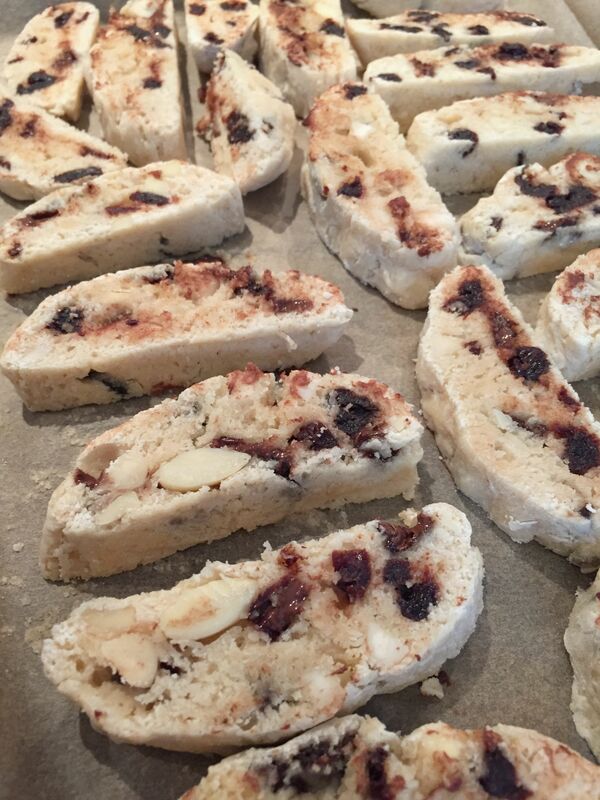 i will be keen to hear how the frozen biscotti slices fare when cooked. 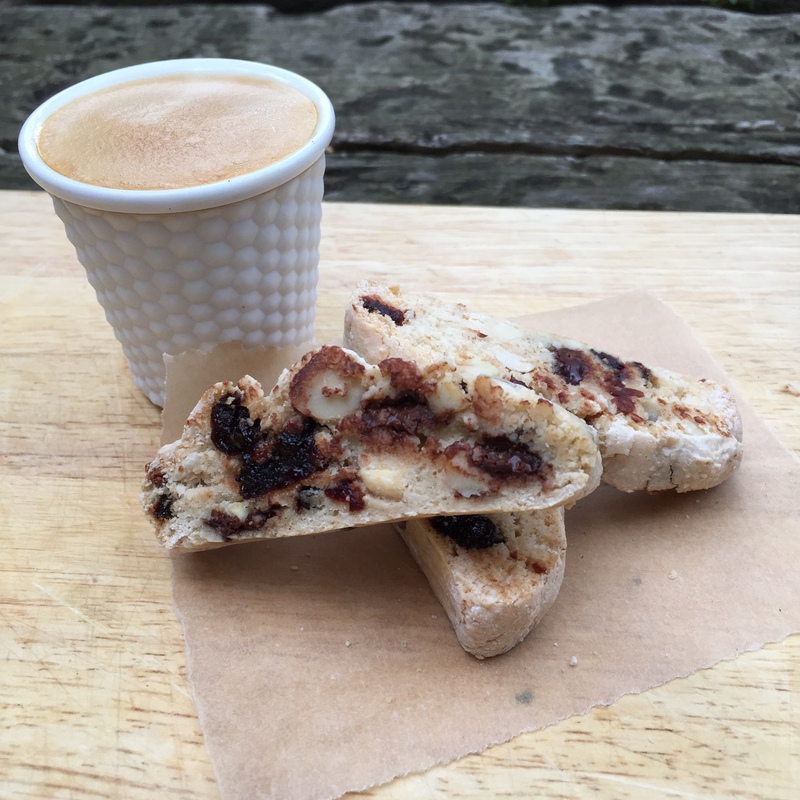 I like the sound of cherry and chocolate – i did think that a black forest biscotti would work well this week! 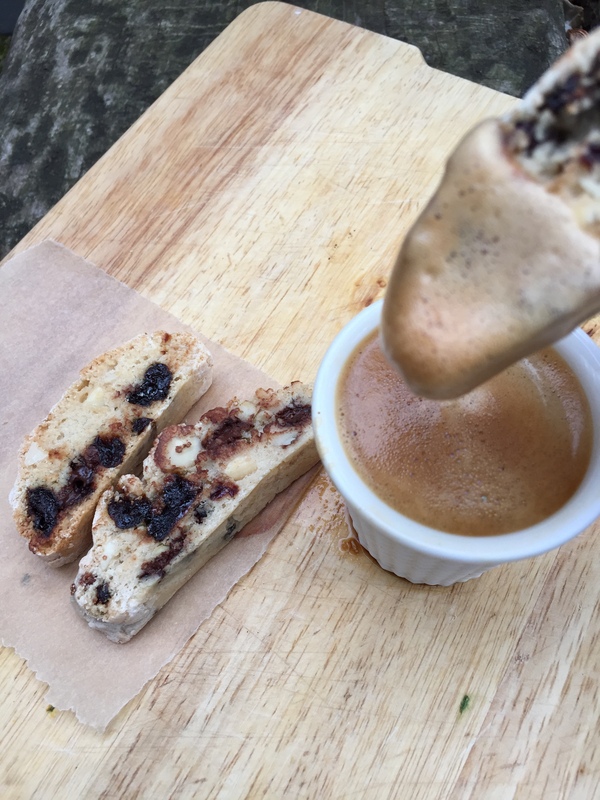 Just cooked up the emergency biscotti (I know, didn’t take long to have an emergency biscuit need) and pleased to report they stood up well to the freeze/bake test and were just as good as the first time round. Hooray! 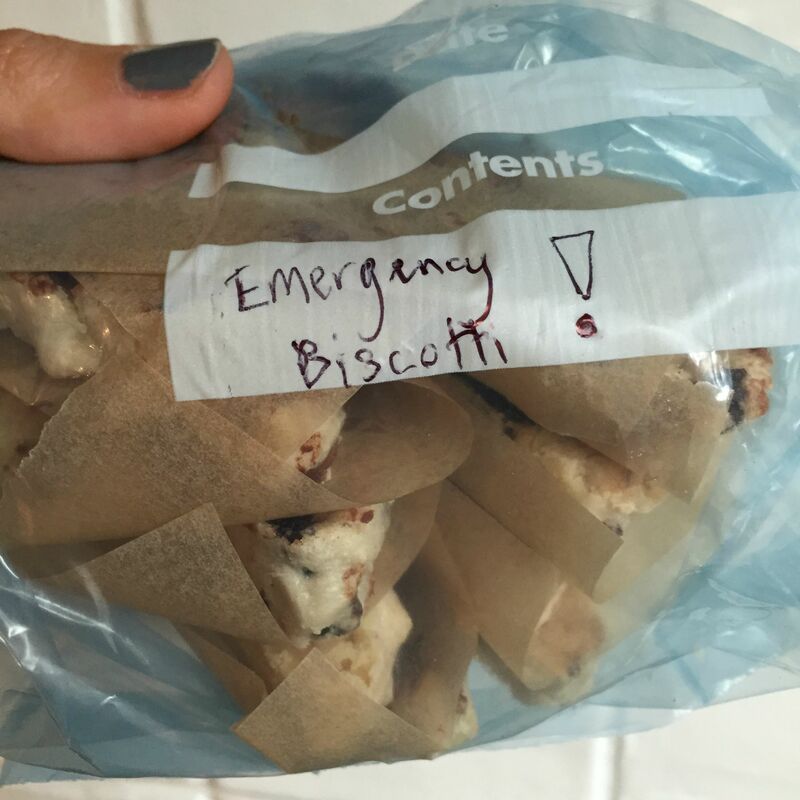 Emergency biscotti is possibly my new favourite thing!! 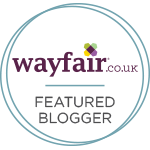 These look lovely!! COME TO MAMMA – ALL OF YOU! All gone…emergency batch is calling to me from the freezer.